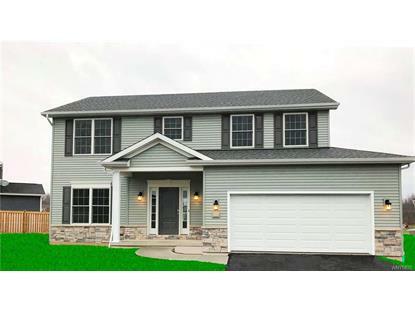 for $389,900 with 4 bedrooms and 2 full baths, 1 half bath. This 2,269 square foot home was built in 2019 on a lot size of 65 X 168. 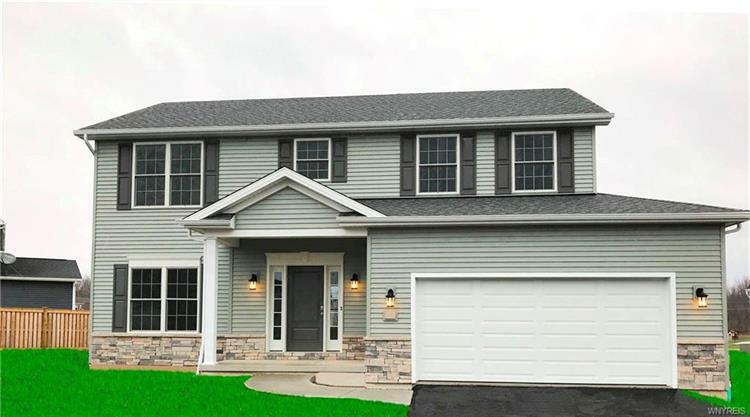 'ESSEX HOMES OF WNY proudly offers this brand new, move-in ready home in Cross Creek Estates! Enter through a covered front entry into a welcoming foyer. 9' first floor ceilings give this home plan its spacious feel and elegant hardwood throughout most of the first floor lends an added touch of sophistication. The dining room (or den) is adorned with classic crown molding perfect for entertaining or working from home. A contemporary kitchen featuring granite countertops with a functional island and opens to a sizable family room complemented by a gas fireplace. The sunroom showcases a cathedral ceiling with walls of windows that offer picturesque views of the rear yard. A spacious master suite on the second floor includes a large walk-in closet. 2nd flr laundry. New home warranty!